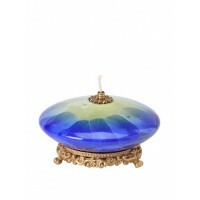 Appletree fine porcelain oil lamp - blue. 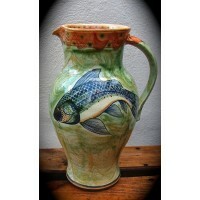 Craftsman made, exquisitely detailed with fine porcel..
Adrian Brough was born in Brixham, Devon, in 1962 and is the son of Leach Potter Alan Brou..
Appletree fine porcelain vase - blue. 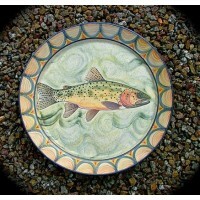 This handmade ceramic / procelain is from the Applet.. The Antique Road Show collection by Dale Tiffany is inspired by the historical and decorative treasu.. 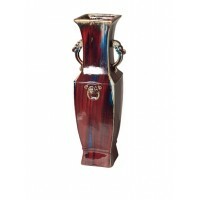 The bold, rich colors of this vase are perfect for adventurous decorators Artist: Adrian Brough .. This Handcrafted and hand painted ceramic teapot will look great on any dining table. 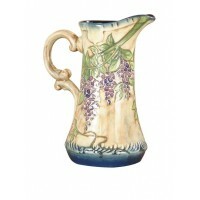 A..
Handcrafted and hand painted ceramic teapot will look great on any dining table. 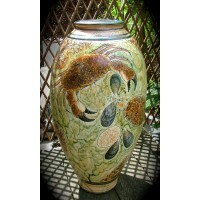 Medium: Cer..
Handcrafted and hand painted ceramic teapot will look great on any dining table. 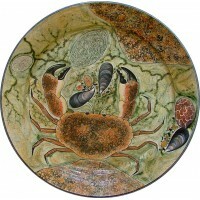 Artist: Han..
Handcrafted and hand painted set will look great on any dining table. 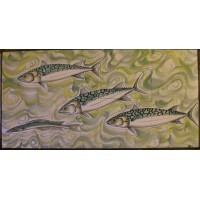 Artist: Handmade / Handcraf..